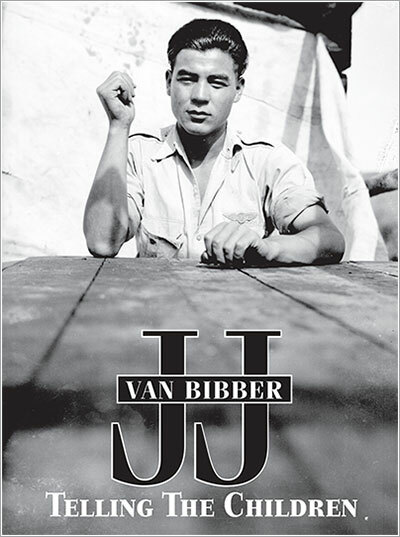 JJ Van Bibber was one of the most respected and iconic elders in Canada's Yukon Territory. During his long life, he was part of nearly every historic and industrial development in the region, and he left the stories and photos to illuminate all of it. A few years before his death in 2012, JJ brought a shoebox full of photographs to the Heritage Ofﬁce of the Trondëk Hwëch’in First Nation in Dawson City, Yukon. If they were interested, he still had boxes and boxes of photos at home, he said. As a boy of 13 in 1933, JJ acquired his ﬁrst camera and started taking pictures. The photographs he took over 70 years demonstrate his sensitivity to the scenic and romantic beauty of his rugged life. His wife Clara shot 8mm ﬁlms of their life on the land and in town. In extraordinary detail and with enormous scope, the images document the technological changes, the industrial development, the cultural politics, scenic beauty, and rugged lifestyles of the Yukon Territory during the last century. JJ became a dedicated storyteller and showed remarkable talent in telling his candid and lively stories. His photos and memories examine the unexplored history, people, and culture of the Yukon.